Soak tamarind in 1 cup of hot water for about 15 minutes. Squeeze and extract the juice and keep aside. Wash, peel and chop the ginger into fine pieces and cut green chilli into thinrounds. Heat oil in a thick bottomed pan and fry the ginger, green chilli and 1 sprig curry leaves. Fry until ginger loses its moisture andit is golden brown and crispy. Now add the chilli powder, turmeric powder and saute for a while. Slowly pour the strained tamarind extract to it little by little. Add the jaggery and asafoetida, stir well. Bring to boil, reduce the flame to low and cook till the mixture is thick, pulpy and reduced almost by half. Make seasoning. Heat 1 tsp of oil in a pan and splutter mustard seeds. Add dry red chilies, fenugreek seeds and 1 sprig of curry leaves. Saute for a while and turn off. Add this seasoning to the prepared ginger tamarind mixture. Stir well. Cool and transfer into a glass bottle and leave to settle for few hours. GREEN CHILLI : Green chilli used in the recipe is 4” length medium spiced Indian Green Chilli. Reduce or increase the number of chillies according to the spice level. STORAGE : Keep at room temperate for 3 days after cooking. Then keep in the fridge. It can be stored for up to 3 weeks when refrigerated and handled with care. Use only dry spoons. 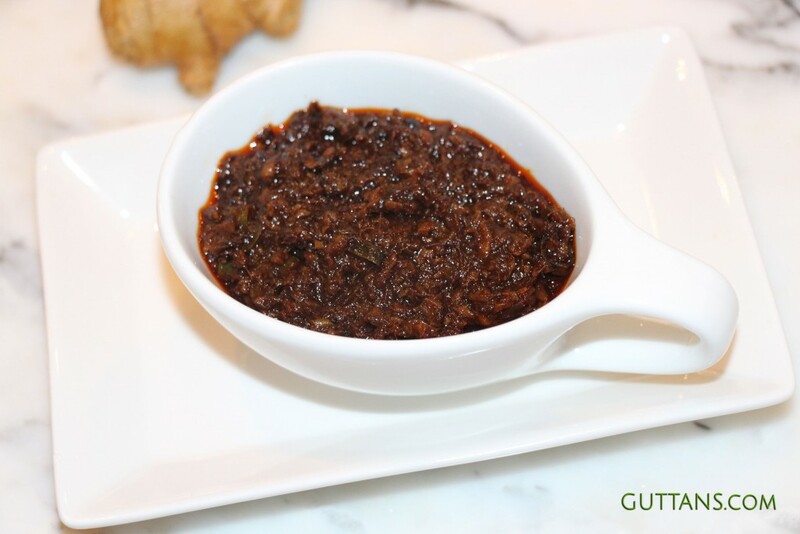 Puli Inji is tangy spicy pickle and is an inevitable part of Kerala Sadya (Feast). It stimulates appetite and help aid digestion of the heavy feast. In all Kerala feasts there are some dishes that are prepared a few days in advance. The main reason being, these stay good for few days or even a few weeks without any refrigeration. Inji Puli or Puli Inji is usually prepared 2 days before Onam and Vishu festivals in Kerala. As the name suggests the two main ingredients are Inji (ginger) and Puli( Tamarind). This dish is spicy, sweet and tangy with pleasant of ginger flavour.